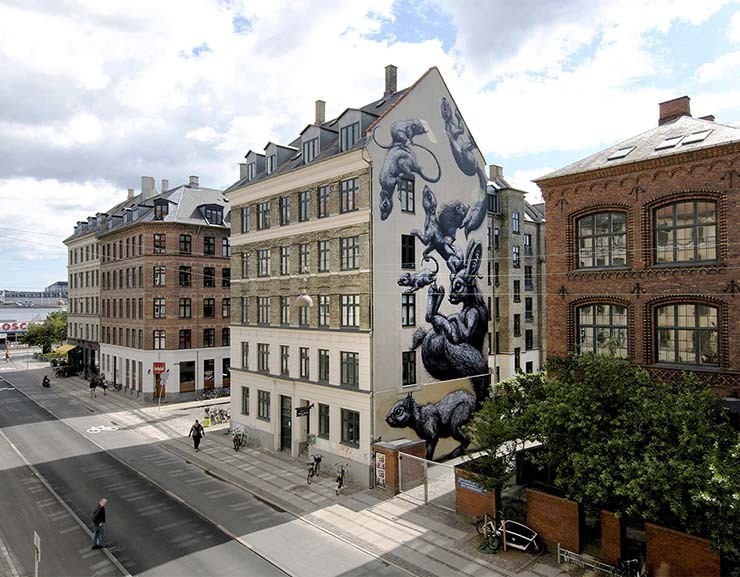 A while back we wrote about Danish photographer Søren Solkær, who has been traveling around the world in the company of the world’s most important street artists. 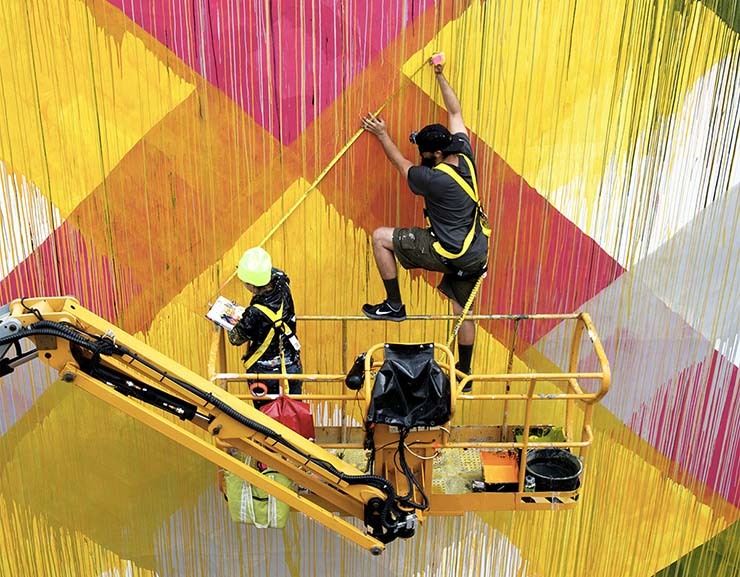 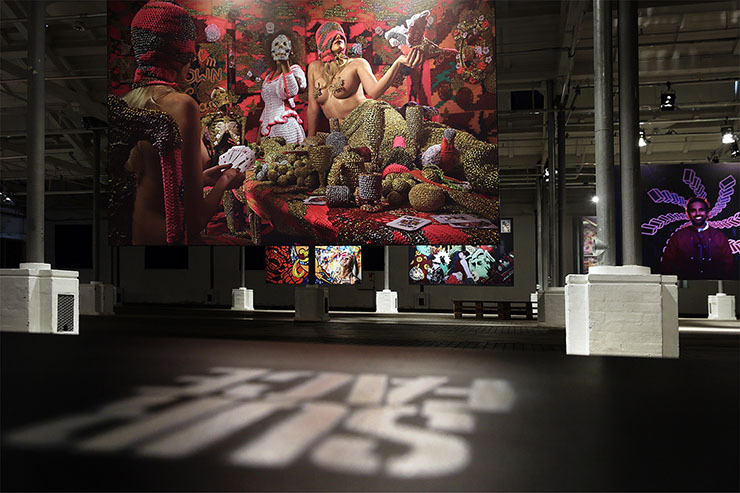 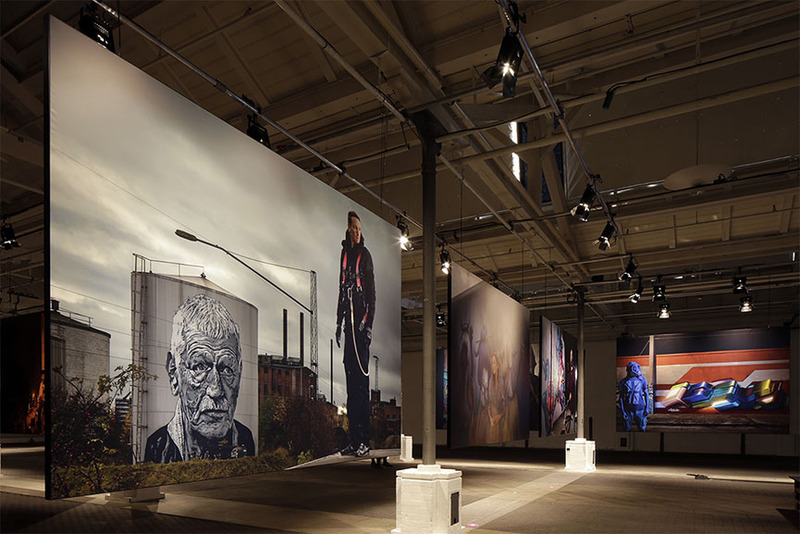 The result is a publication and an exhibition entitled SURFACE, featuring 135 photographs of street artists next to their works, taken between 2012 and 2015. 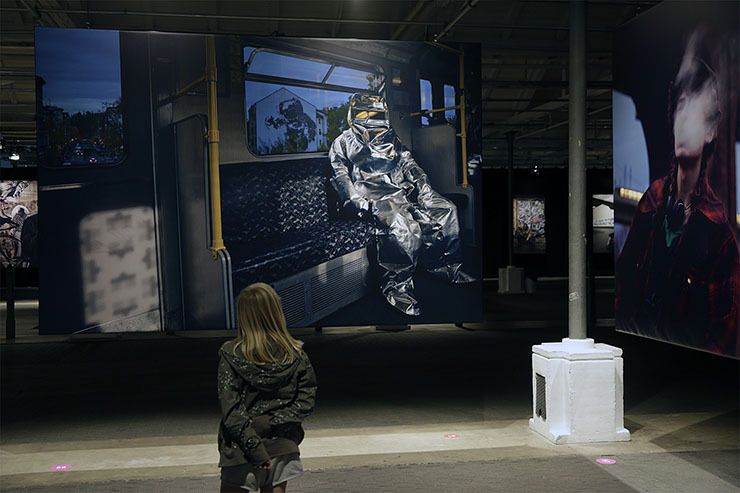 The project is on tour and six SURFACE exhibitions have been scheduled so far this year, four out of which have already been shown in Sydney, Melbourne, Los Angeles and New York. 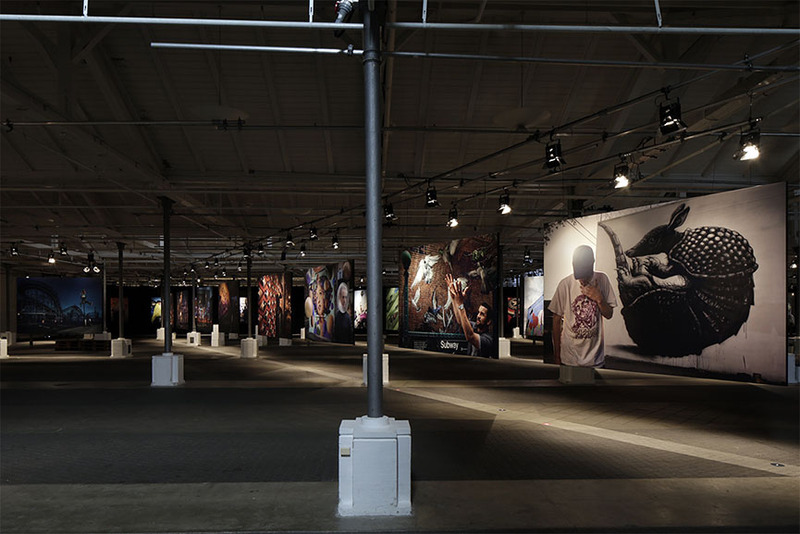 In June, it was time for Europe, and the largest show of the tour opened in Øksnehallen, Copenhagen, Denmark. 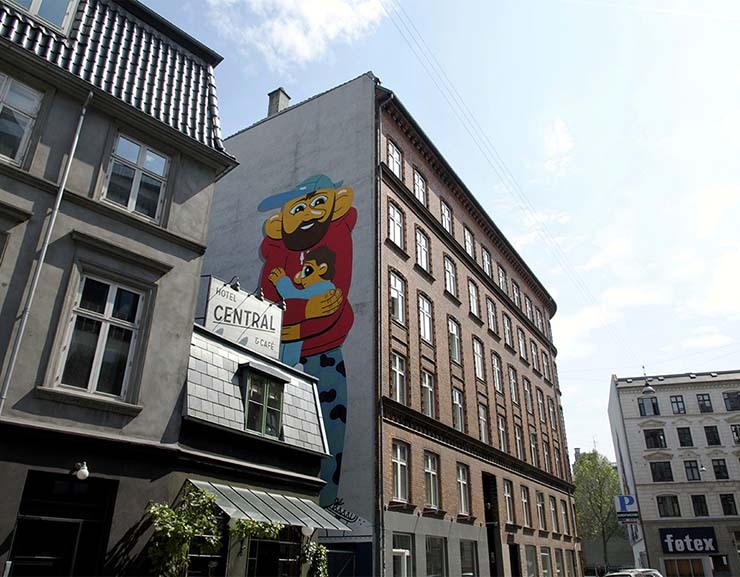 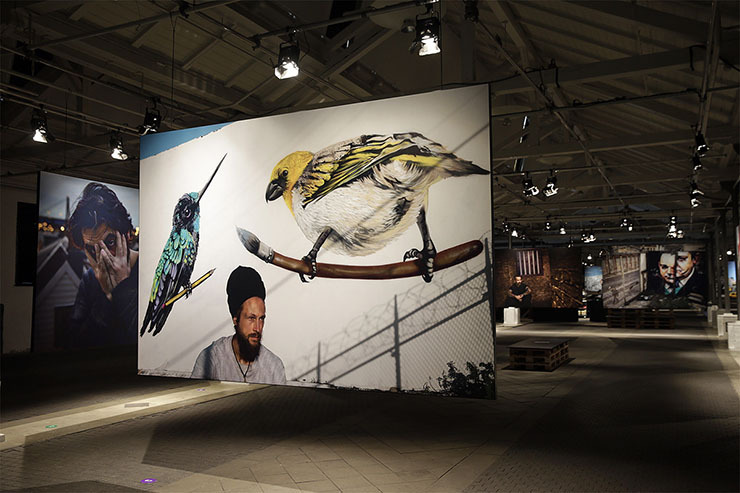 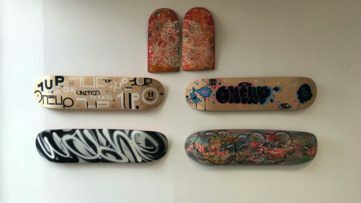 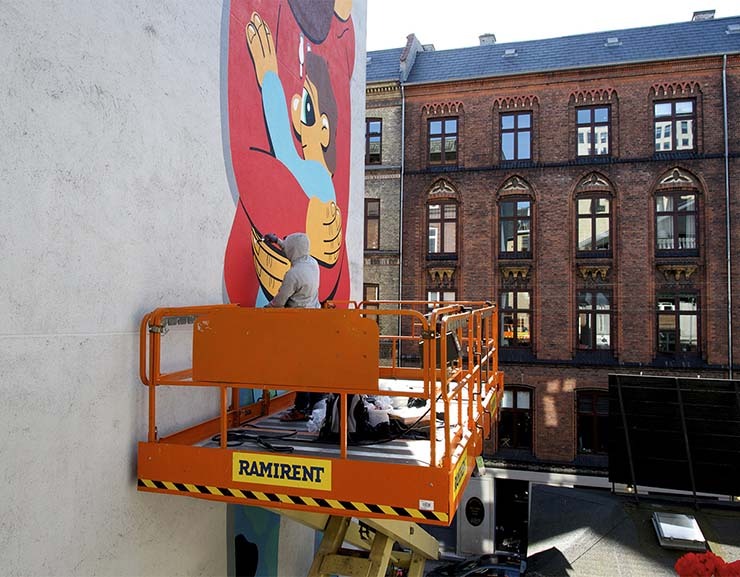 On view until July 29th, the exhibition is also accompanied by a series of new murals, created on the streets of Copenhagen by six renowned international street artists, and to document it all, there was photographer Henrik Haven, who was kind enough to send us these images. 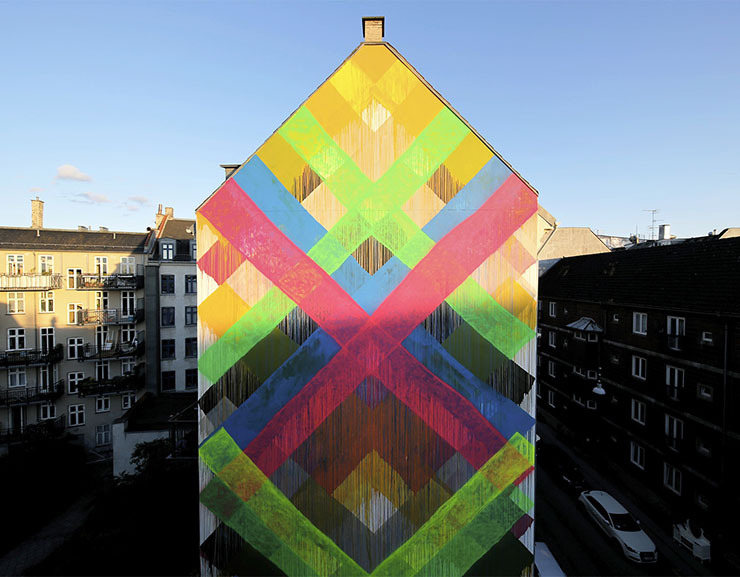 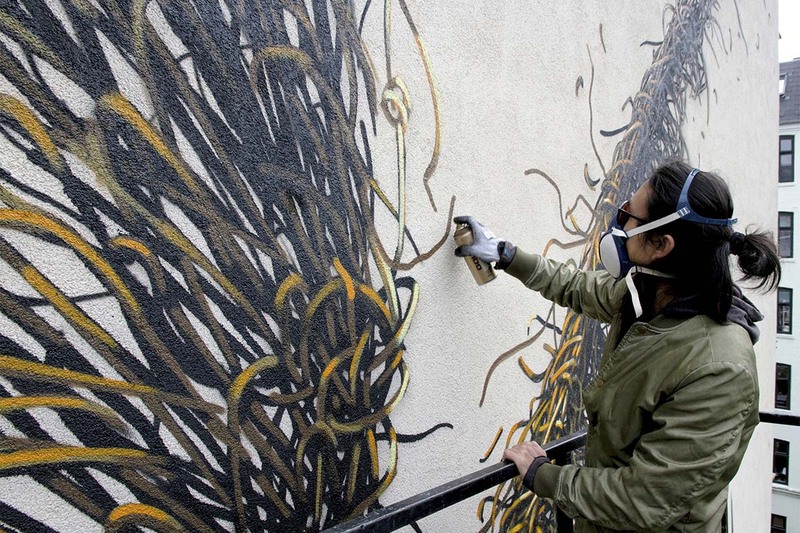 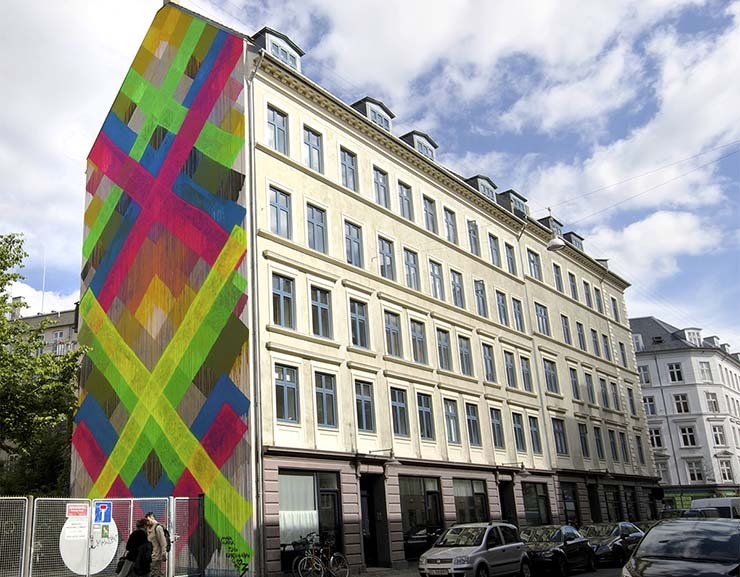 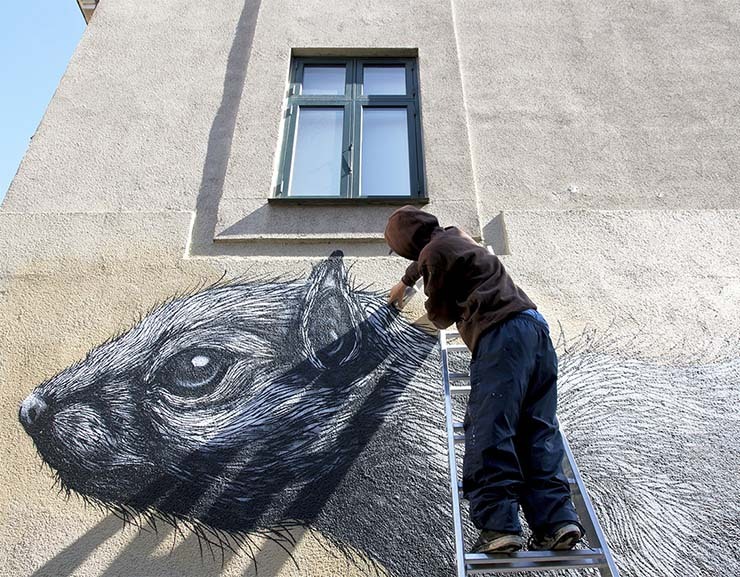 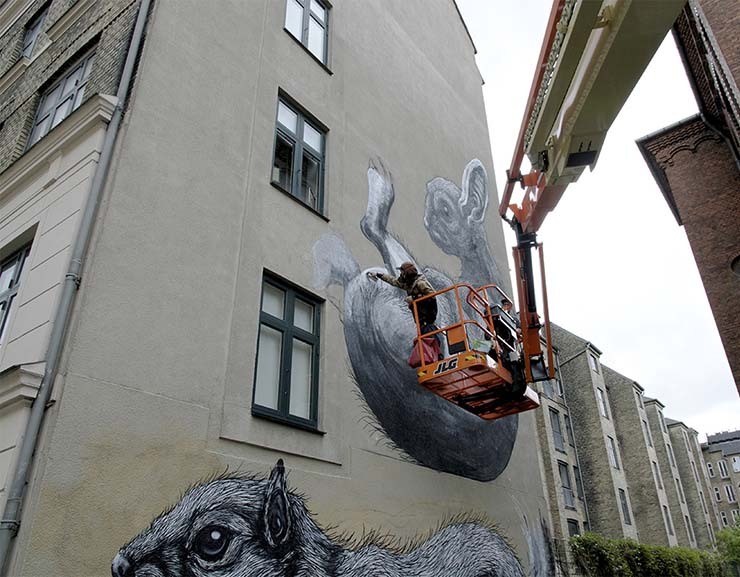 Søren Solkær spent over three years with some of the biggest street art names. 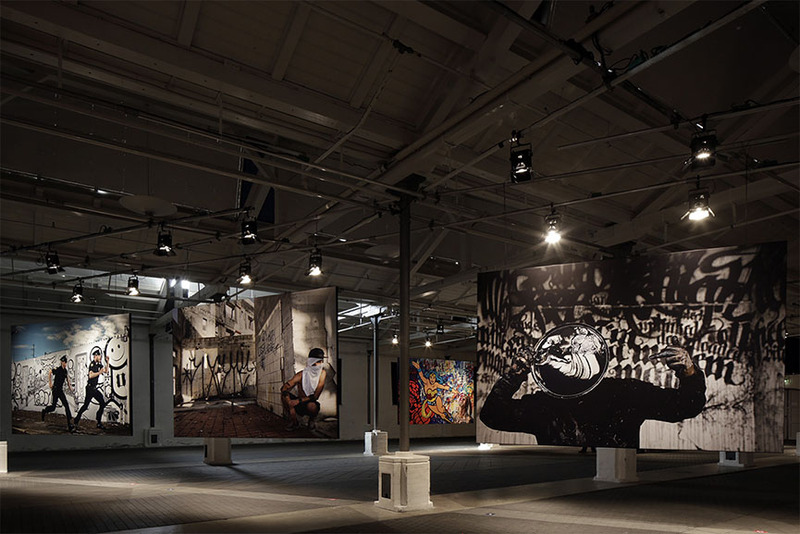 During the creation of SURFACE project, the photographer has visited cities like Berlin, London, Paris, New York, Los Angeles, Miami, Athens and Sydney, where he took photos of artists next to their artworks, creating one of the most important archive of the contemporary scene. 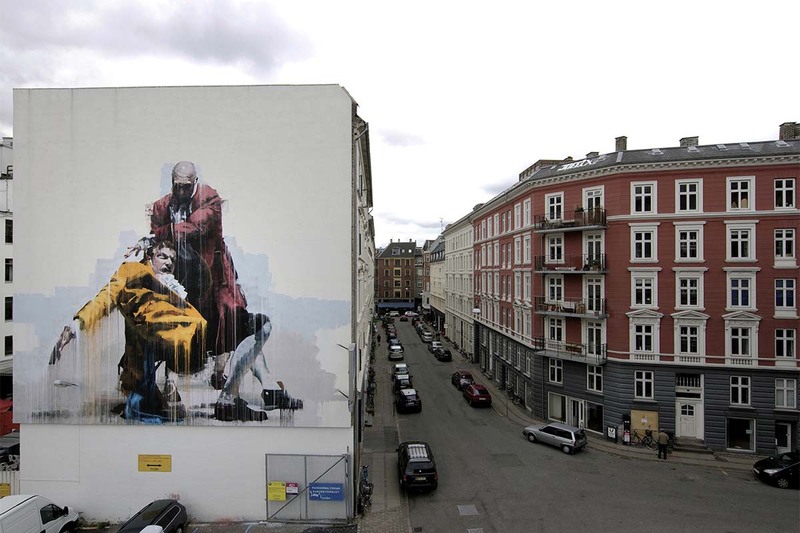 But not just any archive – these images were shot in Søren Solkær’s trademark style, influenced by cinema and painting, producing an impeccable narrative and a stunning visual impact which gives a fresh look on the importance of street art and its artists today. 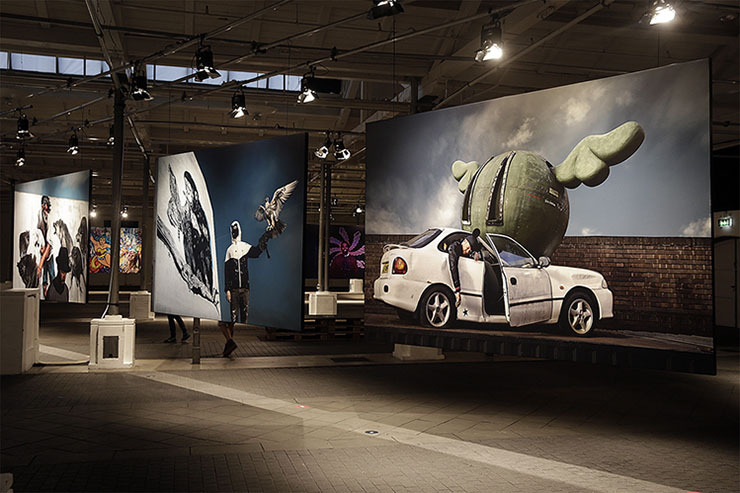 Søren Solkær’s twenty-year-long career had him become one of the most prominent portrait photographers, having had models like David Lynch, Bjork, Pharrell, Amy Winehouse and many other celebrities. 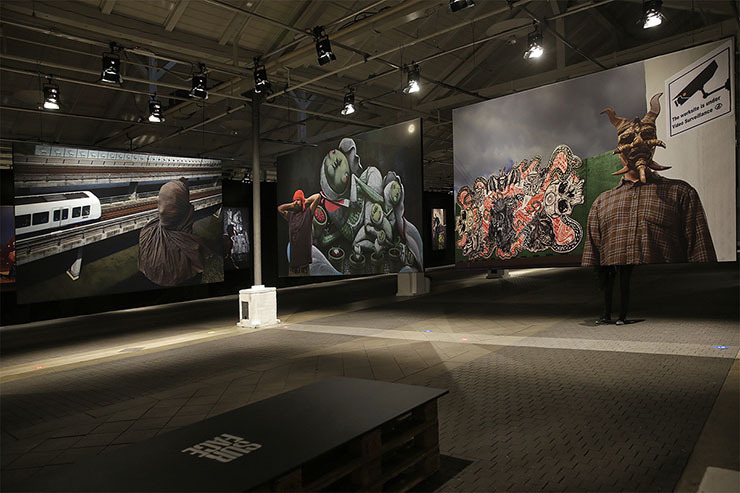 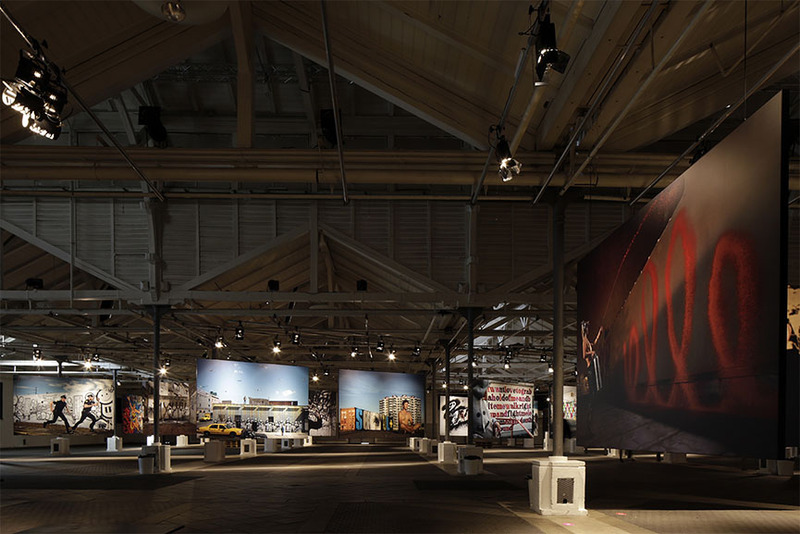 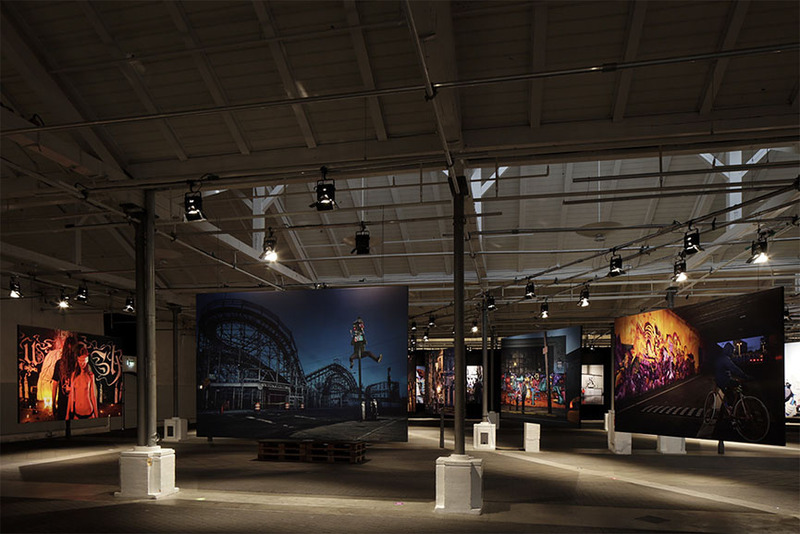 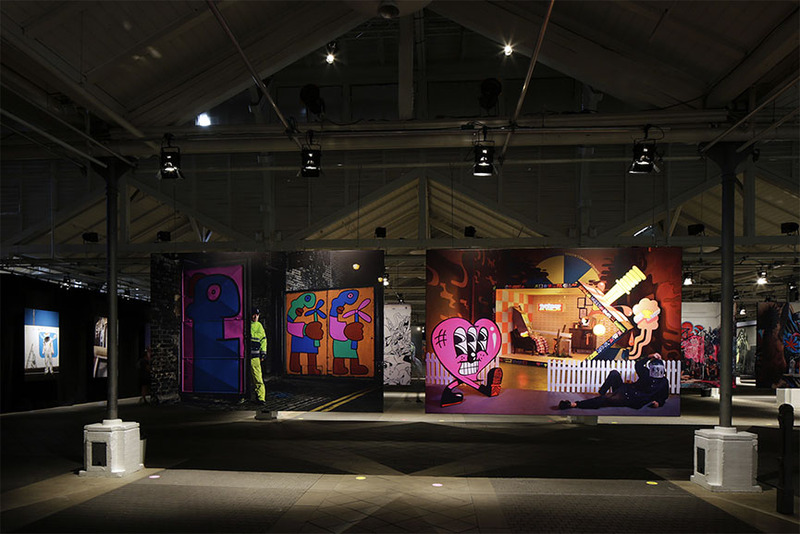 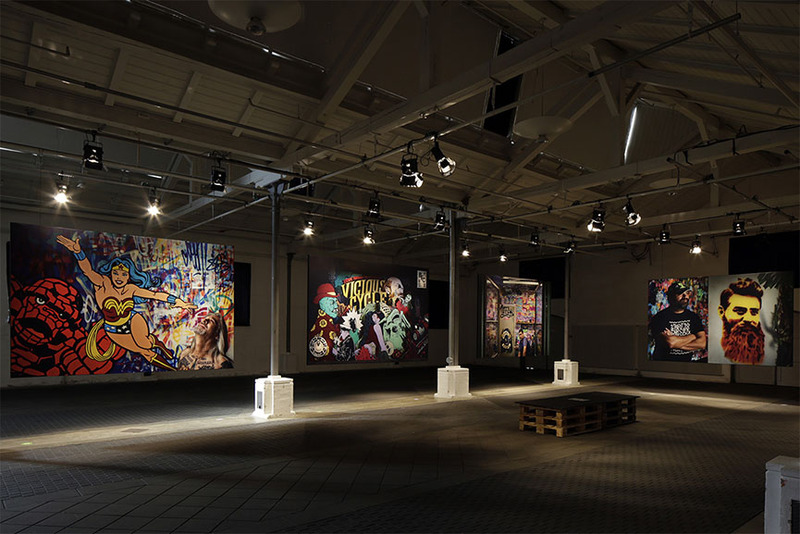 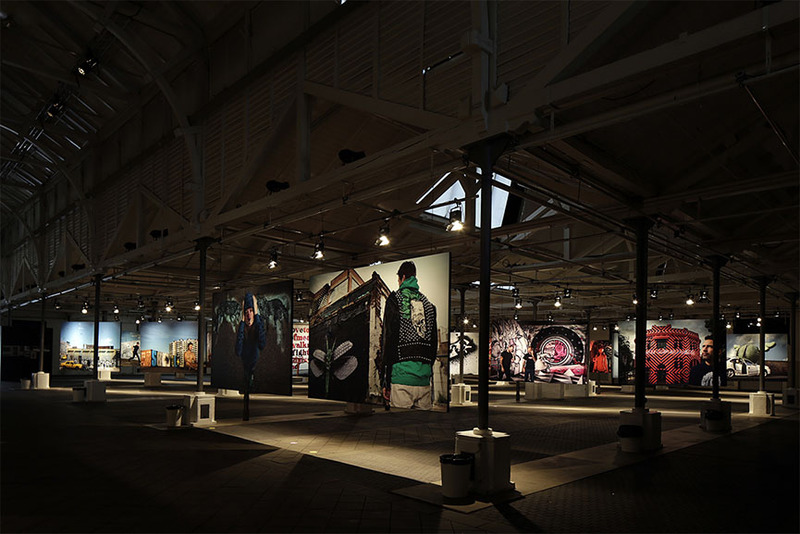 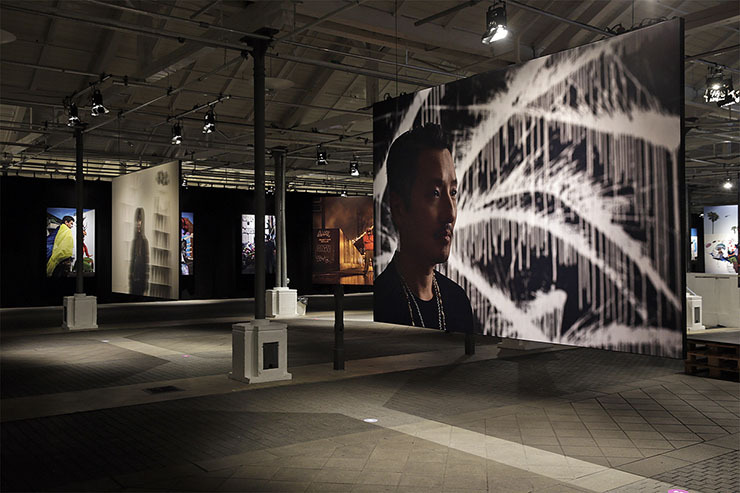 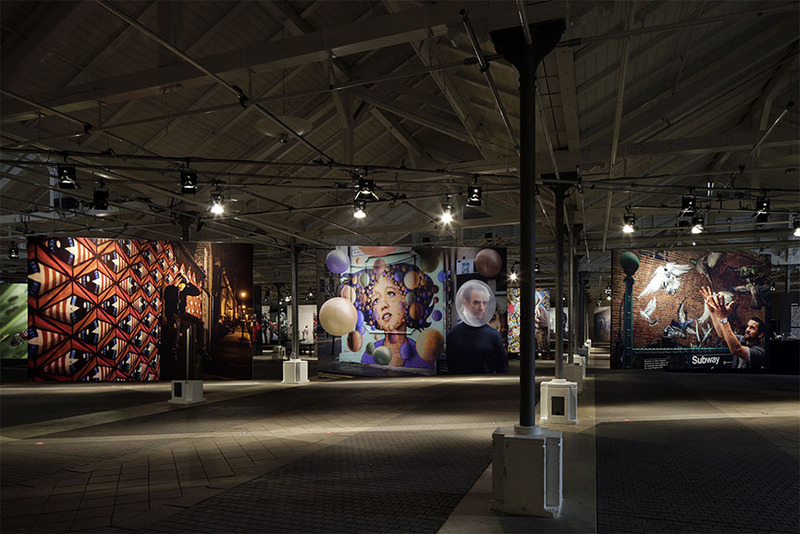 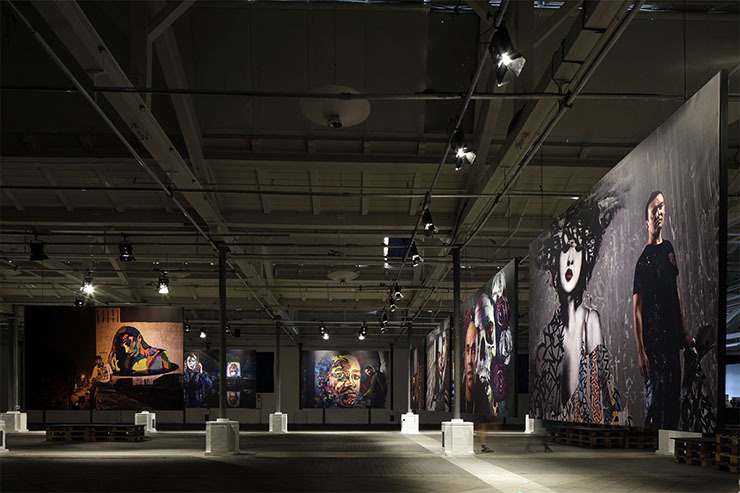 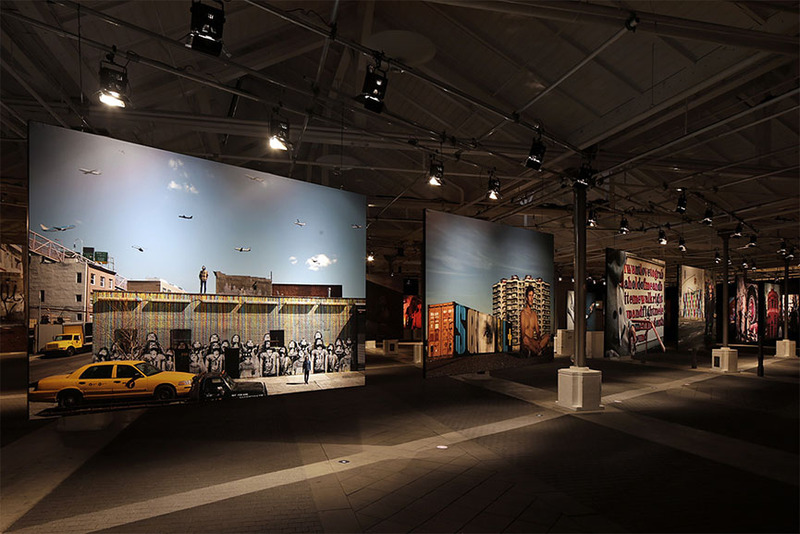 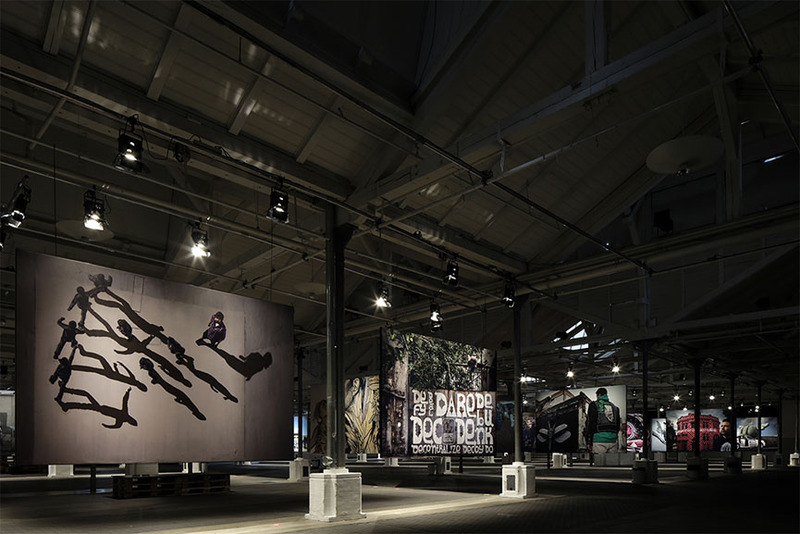 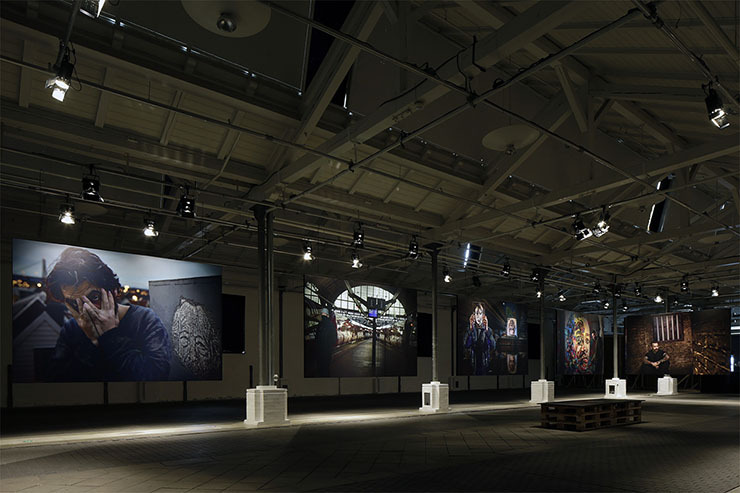 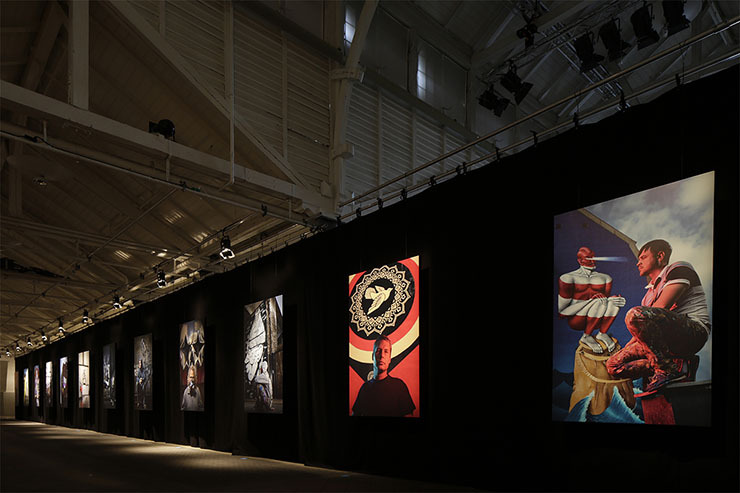 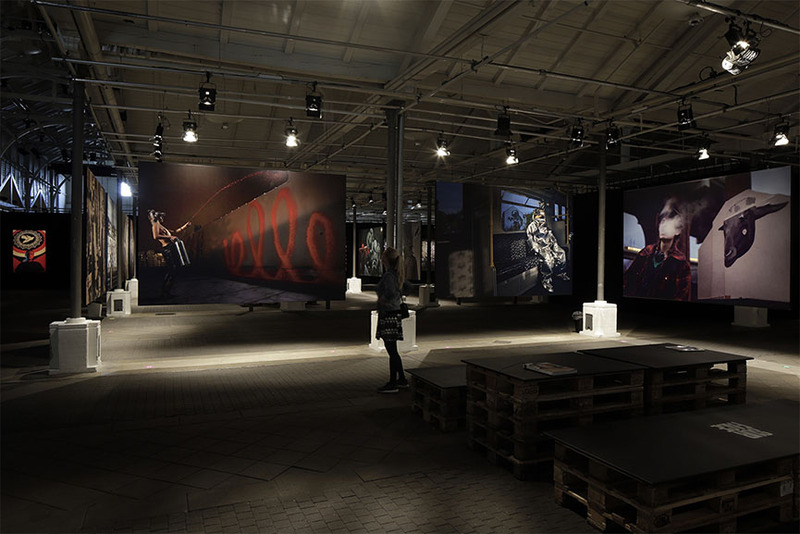 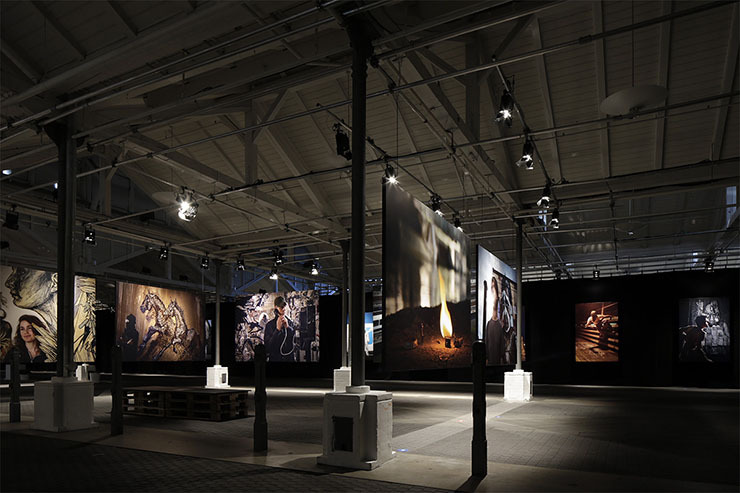 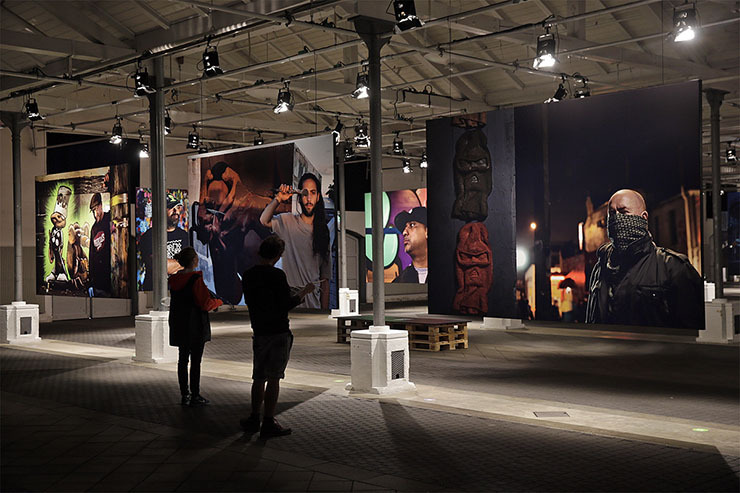 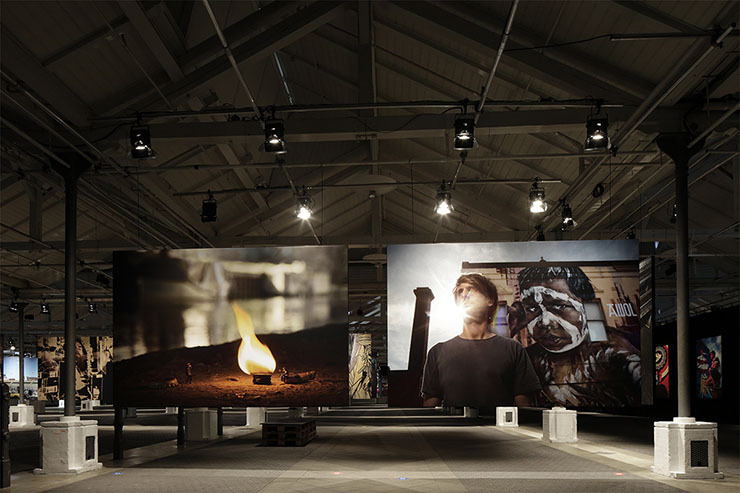 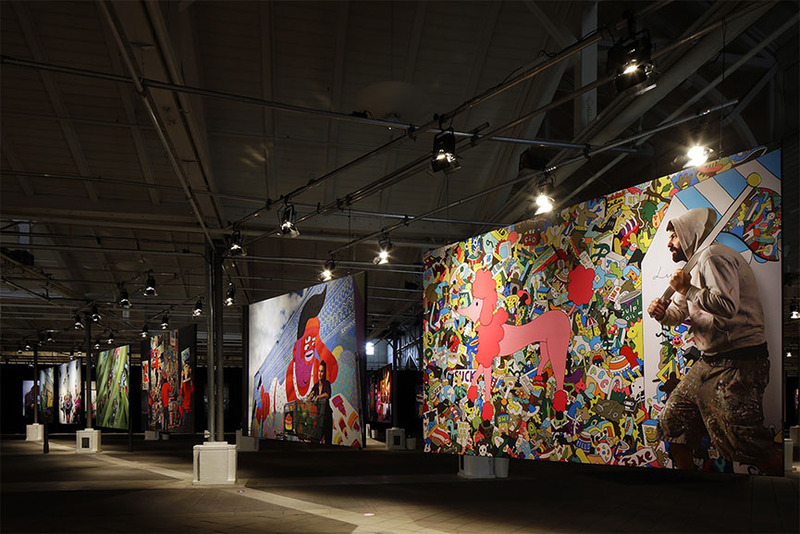 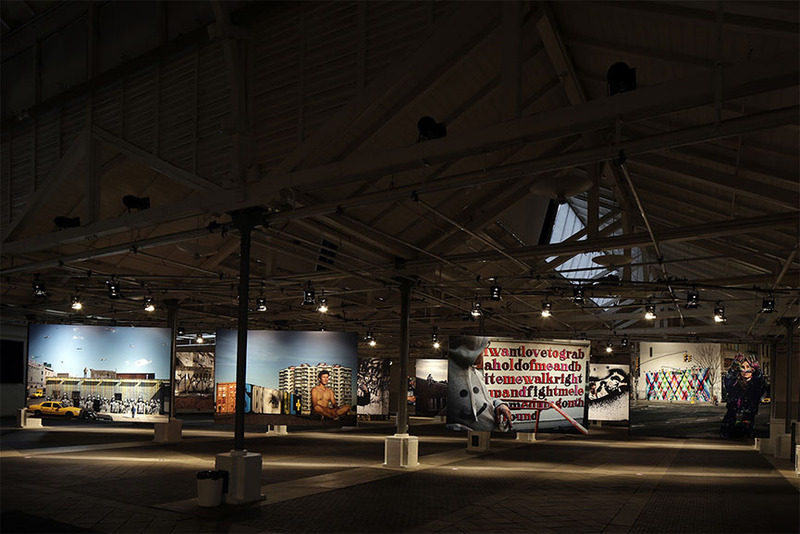 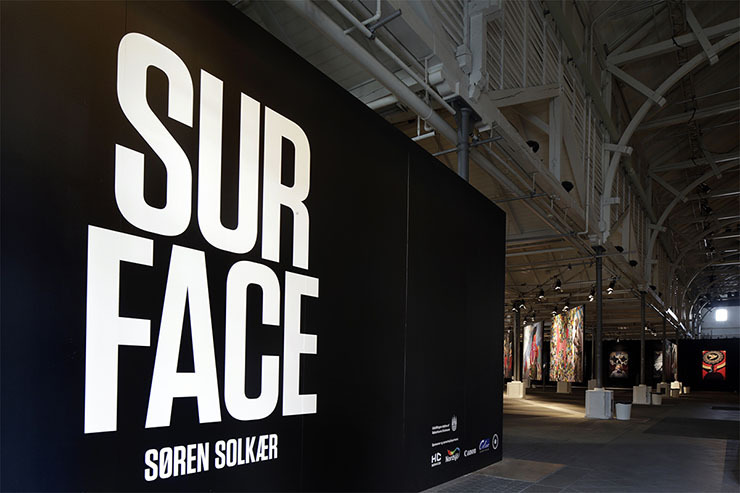 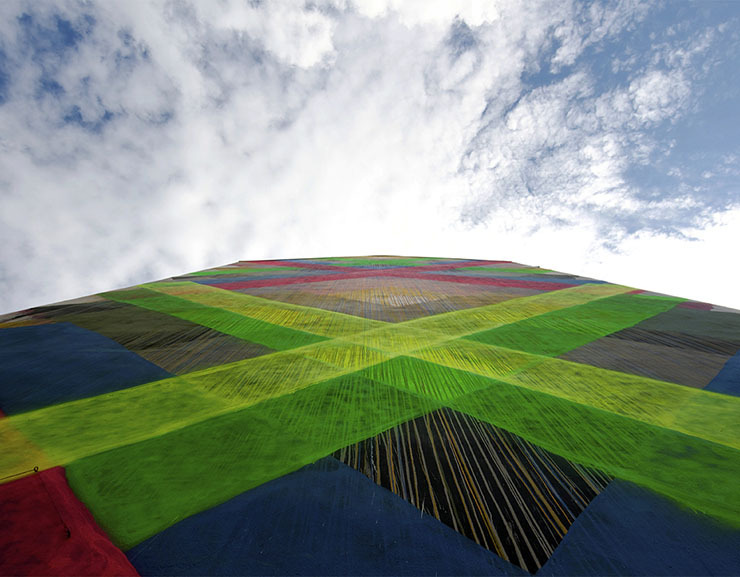 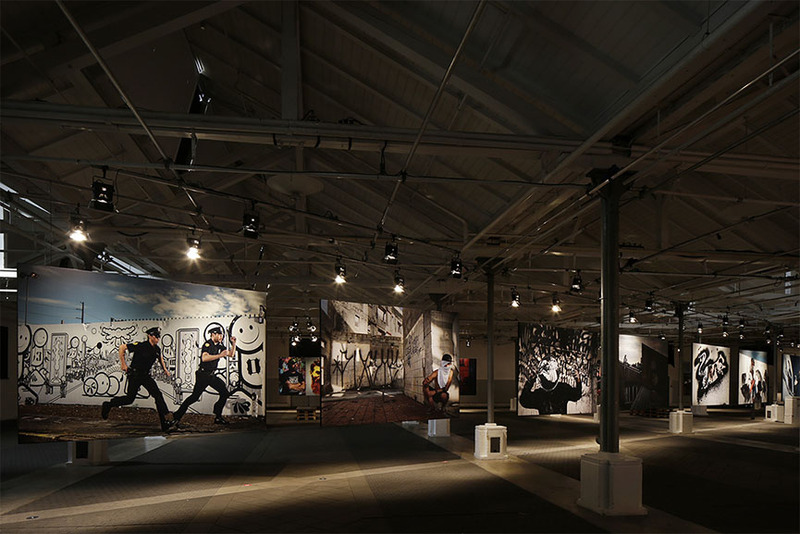 The Danish stop of the Søren Solkær’s SURFACE World Tour is spread on a 3,500 square meter area in Øksnehallen. 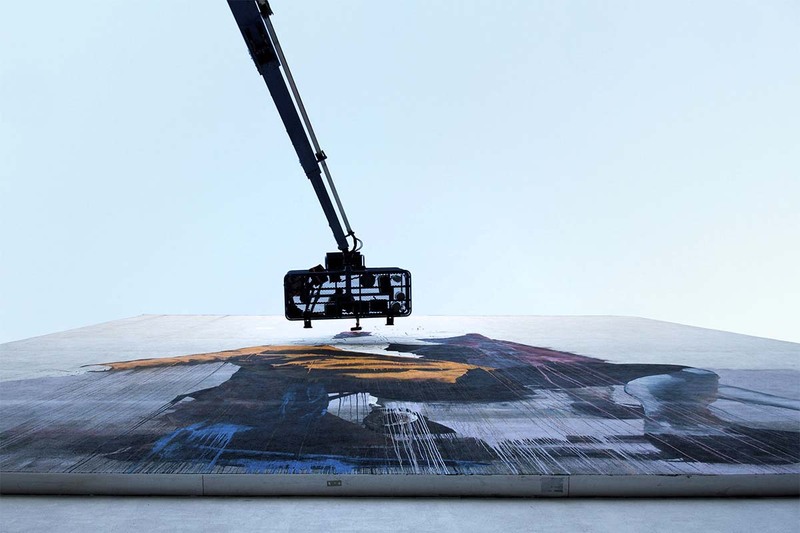 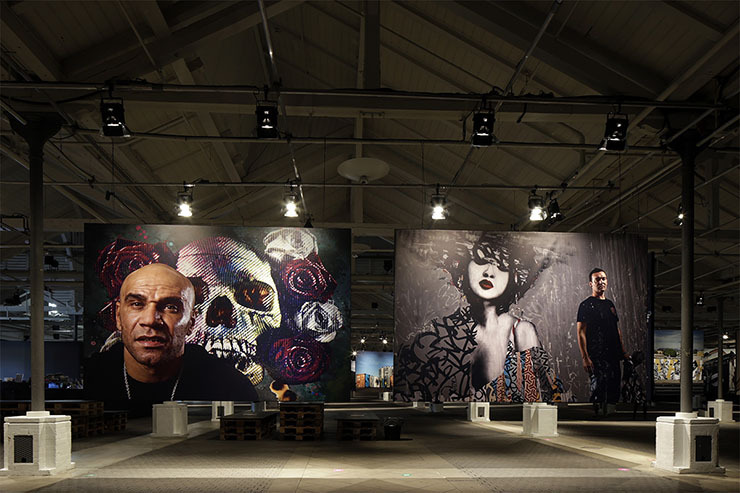 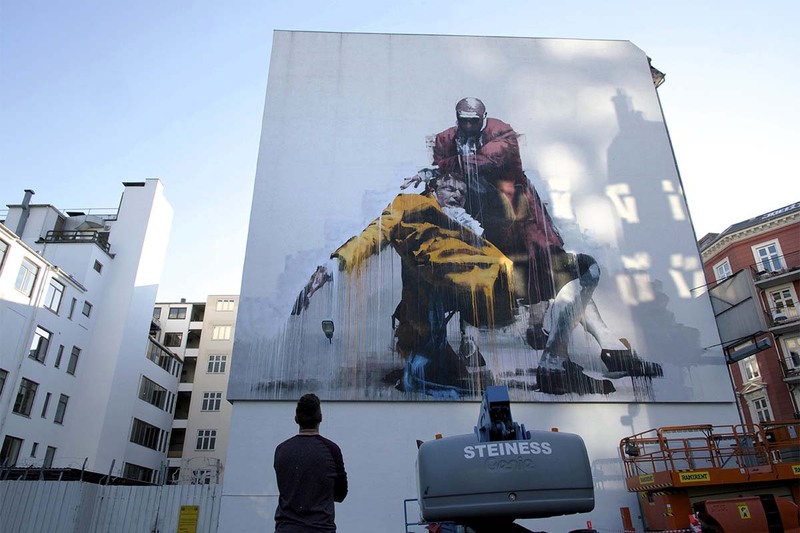 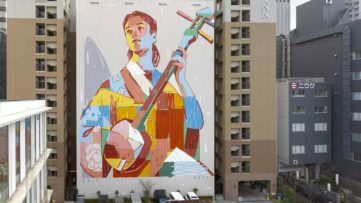 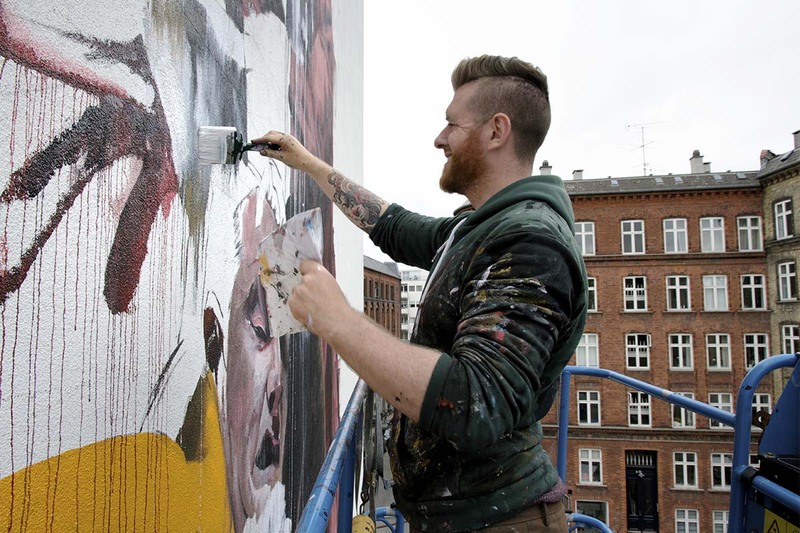 The exhibition in Copenhagen will feature 122 portraits in large formats (most of them measuring 220 x 330 cm) of both street art icons and those on their way to become one. The portraits will be hung in a network of “streets” – inspired by the grid of Manhattan and resembling walls of an imaginary cities. 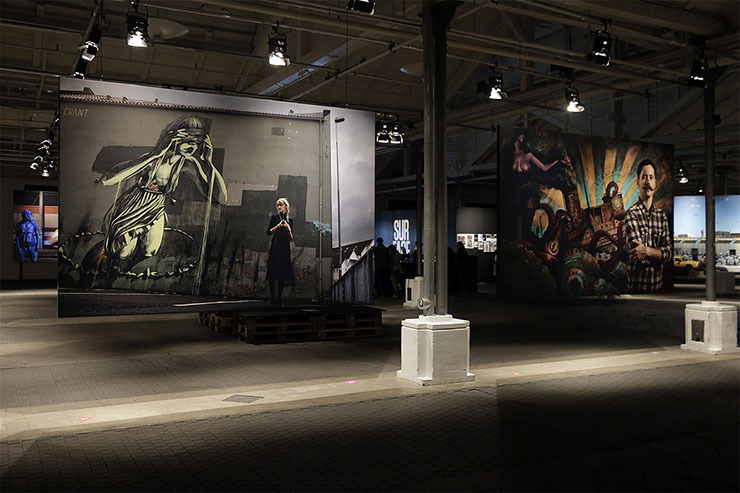 The visitors can also enjoy daily screenings of historical and new films about some of the portrayed artists and one on the photographer Søren Solkær himself, dedicated to the creation of the SURFACE project. 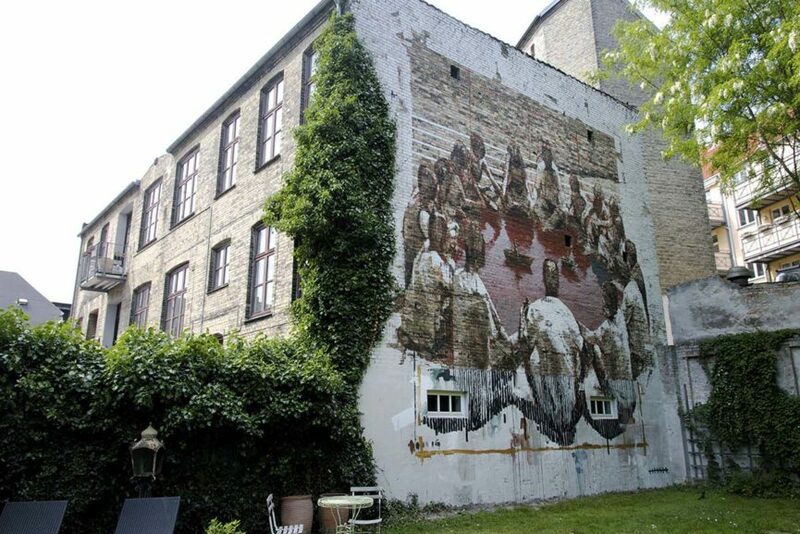 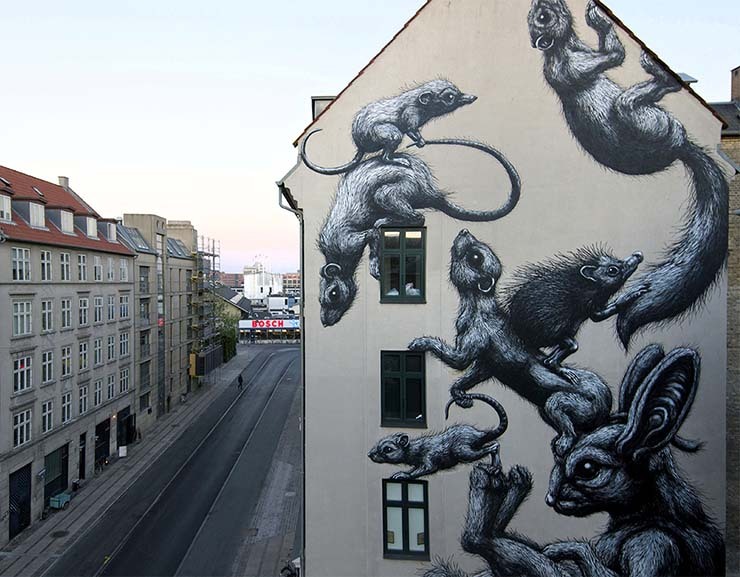 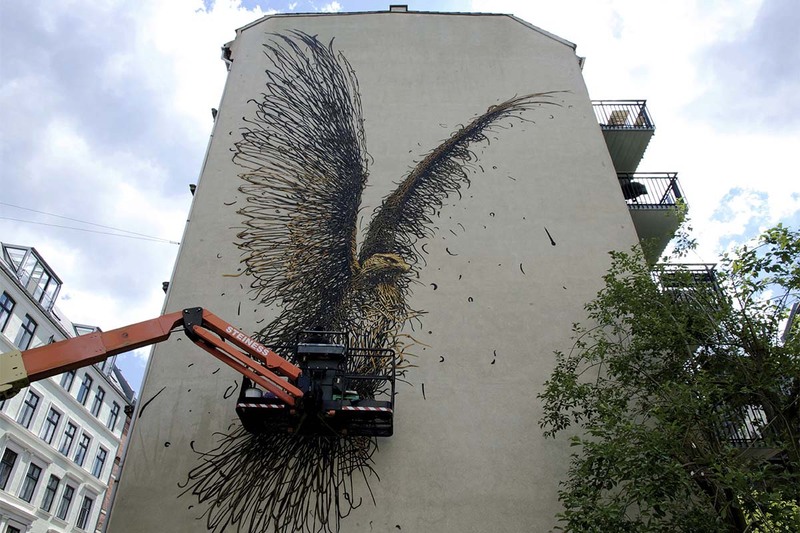 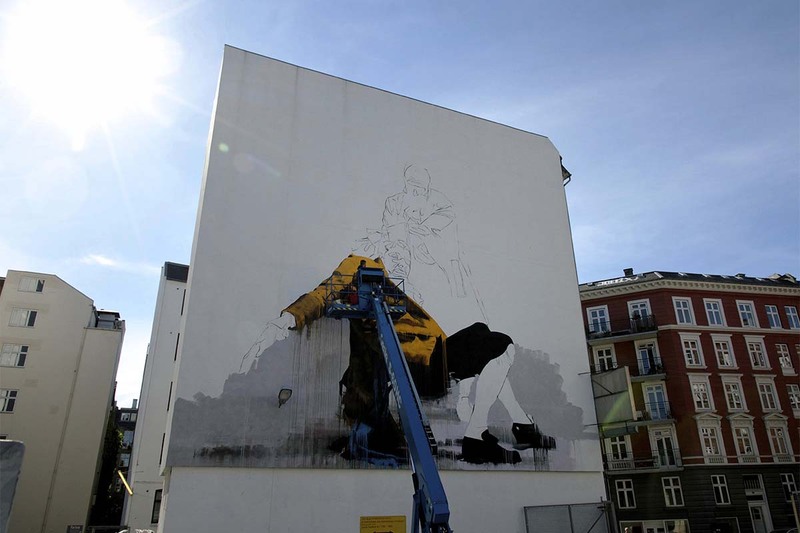 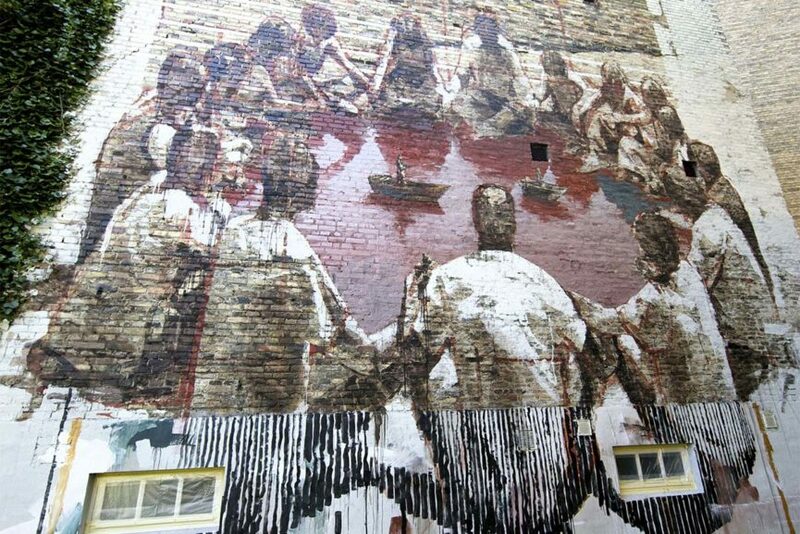 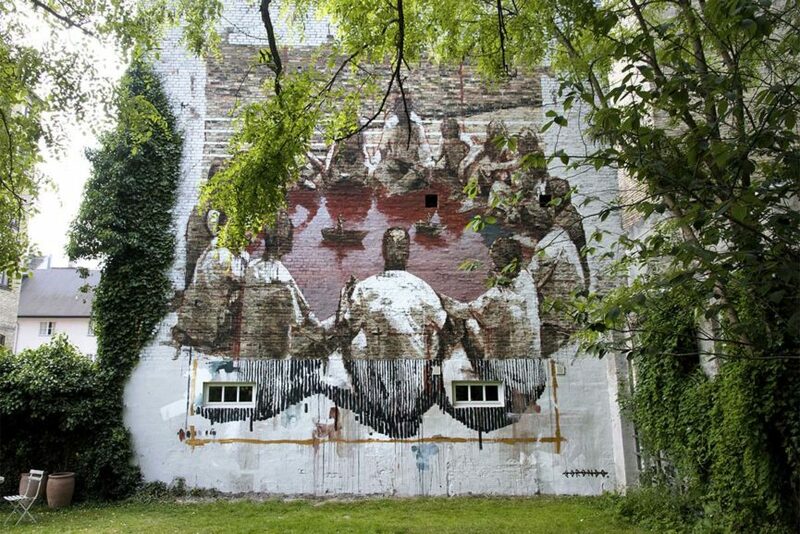 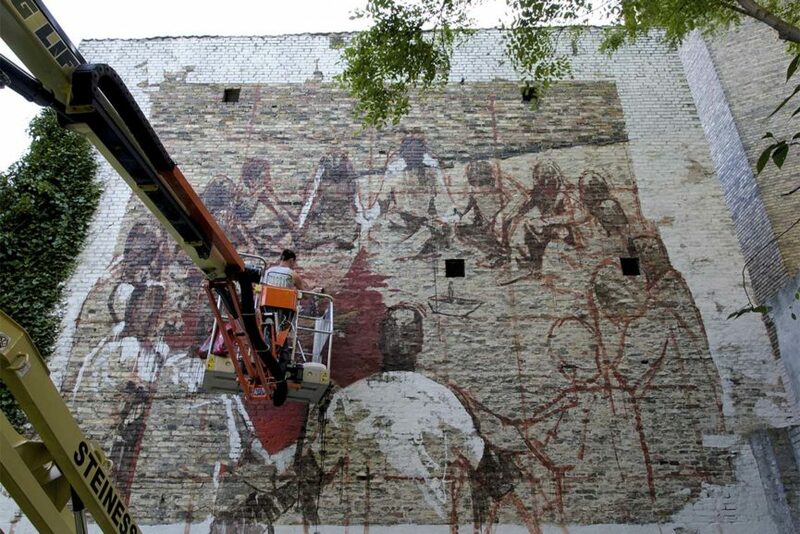 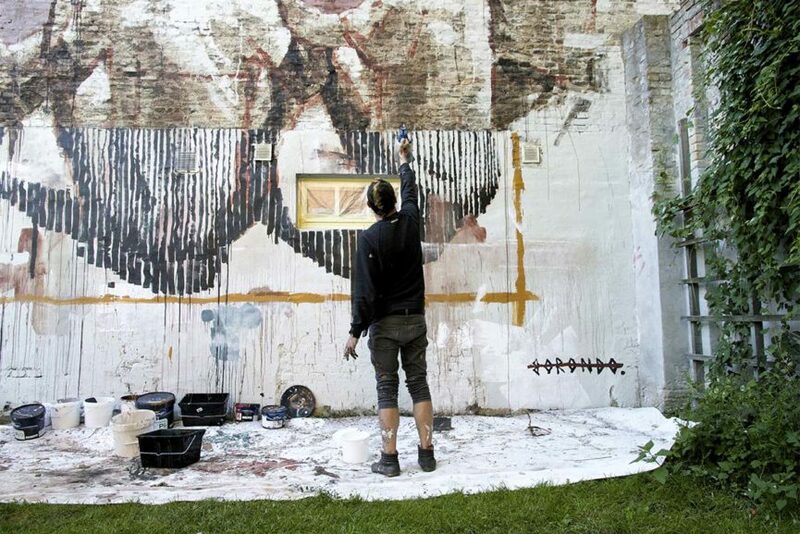 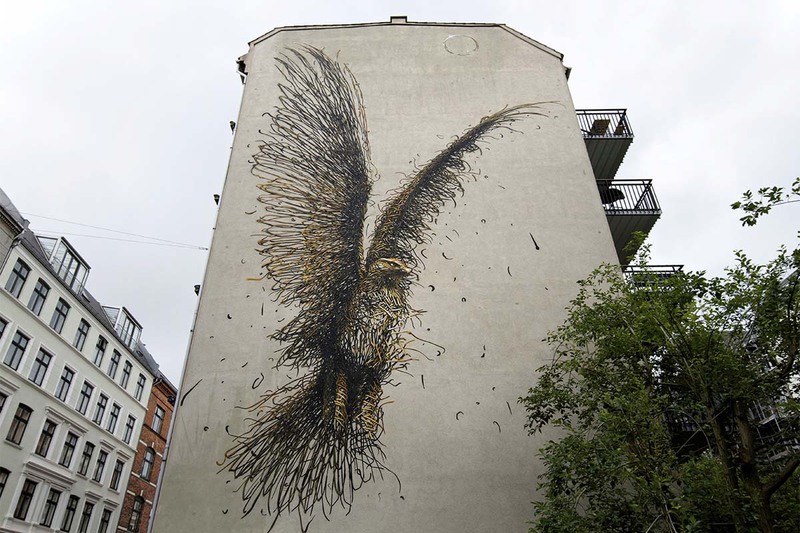 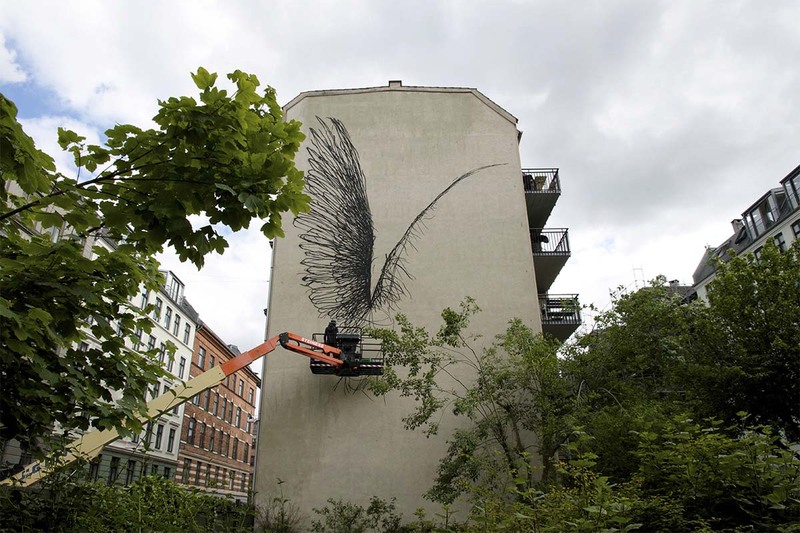 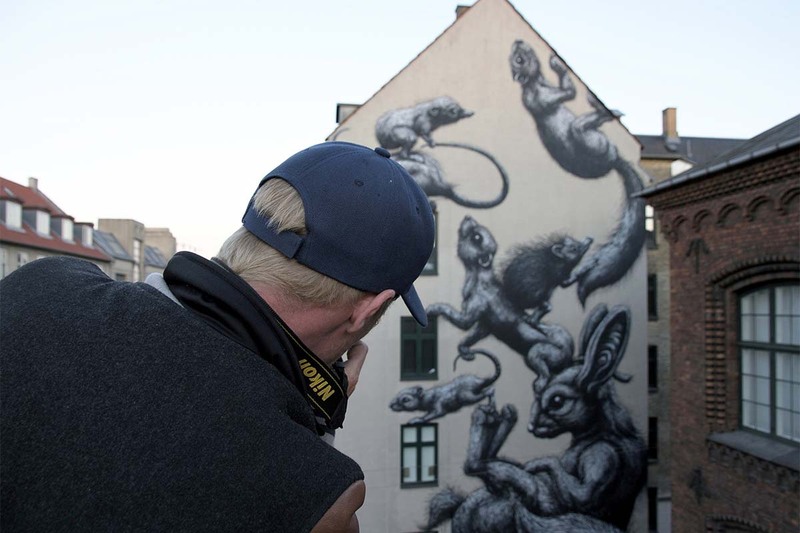 During the week that led up to the opening, Henrik Haven photographed six internationally esteemed artists, who have painted large-scale murals in the area of Vesterbro in Copenhagen: Comnor Harrington (UK), ROA (Belgium), Borondo (Spain), DALeast (China), Maya Hayuk (US) and HuskMitNavn (DK). 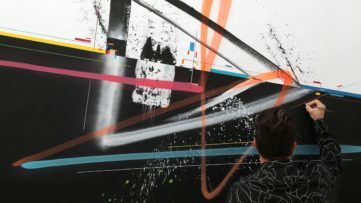 Scroll down to check out a video and even more images of these stunning works on view, courtesy of Henrik Haven!